I thought that by this point the "white man finds himself in Southeast Asia" trope was completely exhausted, but this film proved me wrong. Here we get a huge serving of this trope with an added twist - the central character is a clown. Inside the Belly of a Dragon by Ian A Wiggins screened the recent 8th Cambodian International Film Festival. It stars Hugh W Brown playing (presumably?) himself, a jaded and lost former clown traveling through Cambodia and finding his way to recovery. This film suffered from a lack of precision. At times it forayed into unnecessary surrealism, at other times it looked like an amateur copy of one of Youtuber Casey Neistat's travel vlogs. It really is a shame that this film couldn't find a focus because it did have many things going for it. The cinematography, for instance, was beautiful. 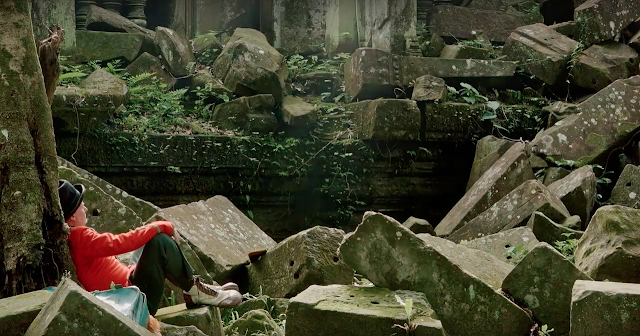 Moreover, I applaud the filmmakers for showing many different aspects of Cambodia, from the rural to the urban. Rather than simply showing a serene Angkor Wat at sunrise, or a bustling Phnom Penh at sunset - the film did indeed take its audience to some truly remote parts of the Kingdom. 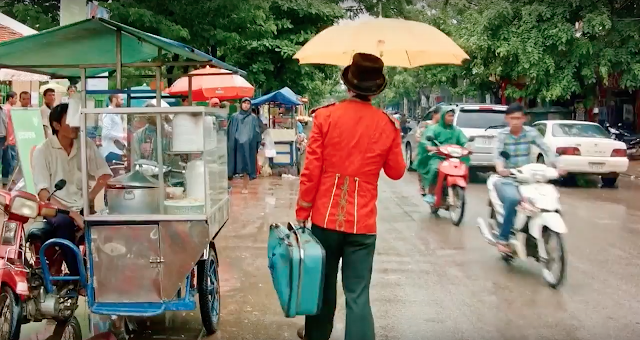 In this light, the positive thing an audience member can take away from watching this film is the diverse footage they'll have seen of Cambodia. The music was another significant factor that kept me going. I enjoyed the fusion of traditional sounds with a modern beat, and how each song flowed into the next. 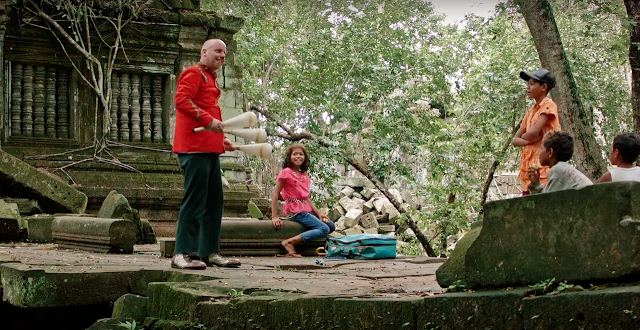 In particular, I enjoyed the song playing about 25 minutes or so into the film, when the clown is hanging out with some kids in Ta Prohm (or a temple that looks a lot like it). The film has a distinct offbeat flavour, but without a clear and strong directorial vision, it fell short. The film began with a rather cringe-worthy black and white sequence, setting up a basic heartbroken character, thus prompting the audience to expect some kind of development as the film progresses. In the description of the film, too, the audience is told they are watching a story of a man's "voyage of discovery and recovery". However, the "voyage" was too literal. The main character stumbled in and out of situations, without any directorial commentary on what those situations are supposed to mean. Even for someone like me, who has lived in Cambodia for 18 years, I struggled to understand the point of showing these different parts of the country. What was Wiggins trying to say about Cambodia? What was he trying to say about this character? Hugh W Brown's acting was often baffling, sometimes his expressions were too much, at other times not enough. This is ironic because Brown is playing himself. Even though the choice to play himself is an interesting one, neither Wiggins nor Brown were able to maximise the artistic potential of this kind of a disruptive Brechtian technique. At the end of the day, the important thing this film accomplished is the spirit of collaboration. It featured dancers from Epic Arts, an NGO based in Cambodia that started out as a place for disabled kids to learn dance, but has now expanded into an inclusive arts organisation. 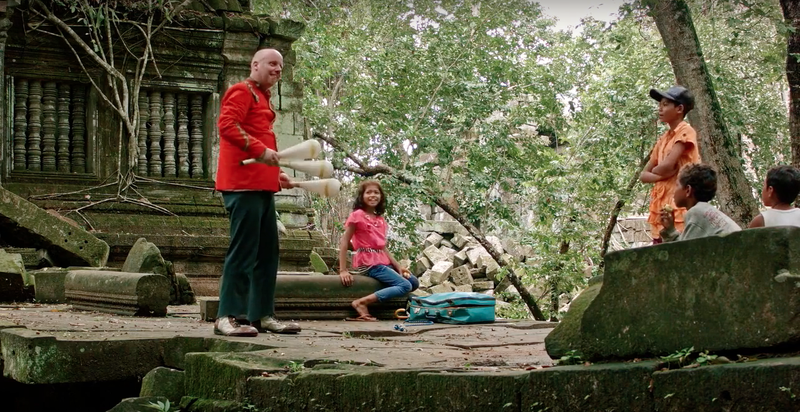 The music is by Cambodian Space Project, one of modern-day Cambodia's first "indie" bands. 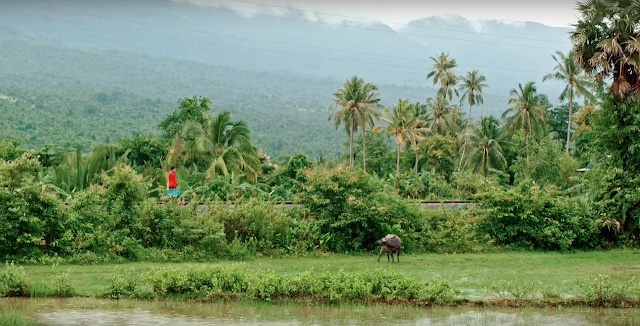 Coupled with such expansive footage of almost the whole country, this film does a good job of celebrating Cambodia's current cultural and geographic landscapes. 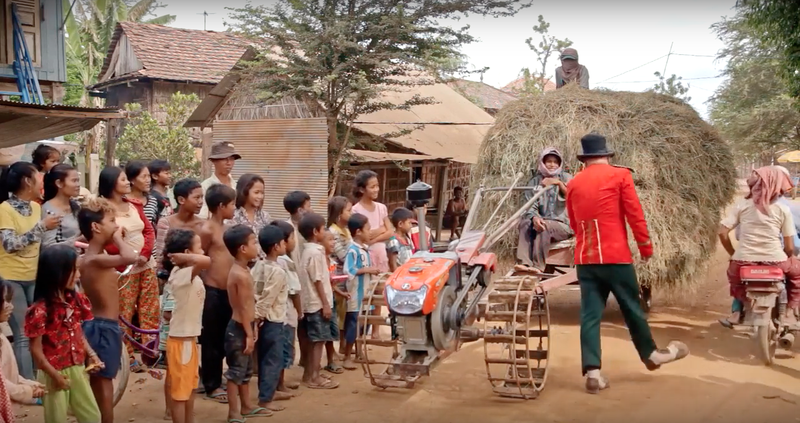 In this way, it makes perfect sense for this film to be screened at the Cambodia International Film Festival.